Russell Falls Cottages offer self-contained, self-catering accommodation suitable for couples and families. 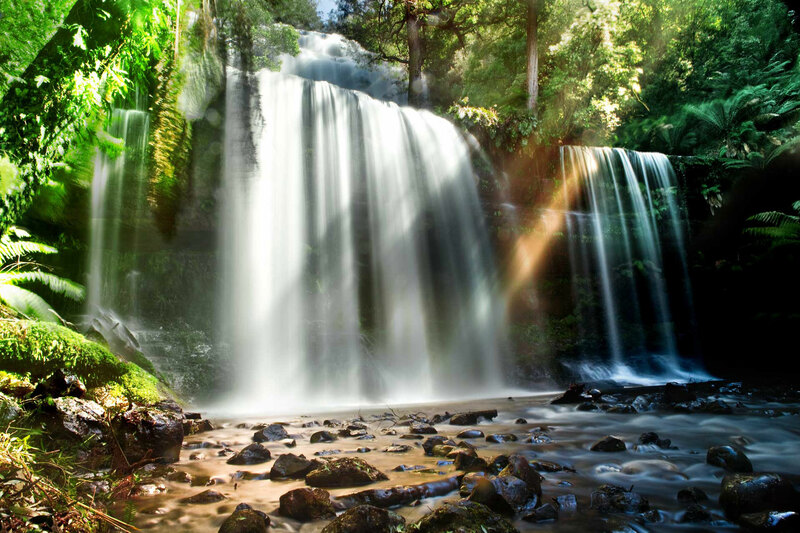 They are situated on the edge of Mount Field National Park, a comfortable one hour and ten minutes drive north-west of Hobart. The drive to the Cottages from Hobart offers stunning views as it follows the Derwent and Tyenna Rivers upstream towards Mount Field National Park, passing through the picturesque English-styled village of Westerway. Once at the Cottages, a footbridge offers direct access to the Park, with the Visitor Centre and Cafe a pleasant five minutes walk away. From Hobart, take the Brooker Highway (A10) to New Norfolk, then follow the road on either side of the Derwent River (the A10 or B62) until you reach Westerway. From here, drive along the Gordon River Road and through the quaint village of National Park to the Lake Dobsen Road turn-off.